If we approach new ideas, experiences, and people with a mind open to similarities instead of closed to differences, we may find that there are more similarities than differences and that the differences actually add value to, instead of diminishing, our lives. 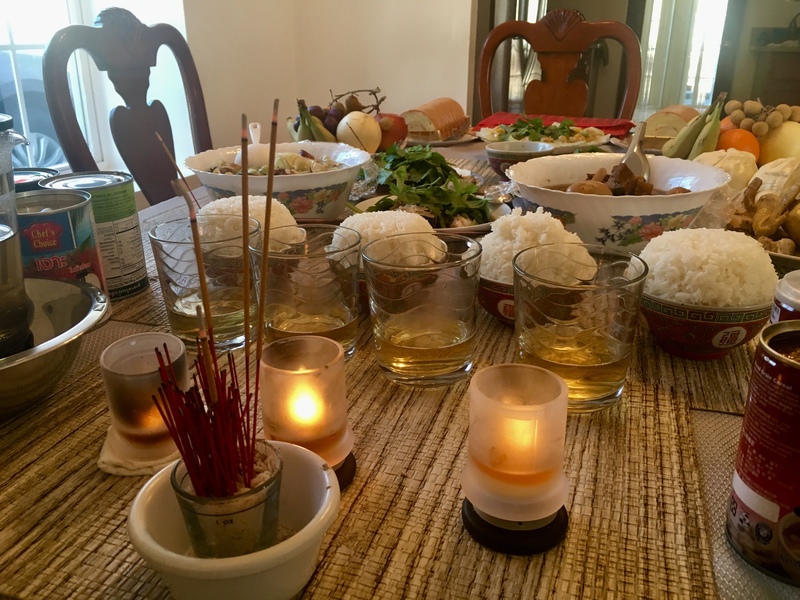 When my wife, a Cambodian-Chinese-American, and I were first married, I resisted all of her families’ traditions, mostly out of fear that I would lose my identity if I conformed too much, too soon. This resistance and other such rebellious tendencies is something that has plagued my relationships throughout my entire adult life. For a while, Chinese New Year was no different, an opportunity for me to resist and express my unwanted, unkind opinion. I would watch her and her family go through elaborate rituals early in the morning, scurrying around, cooking, organizing, putting food and drinks out, lighting incense and candles, saying prayers, etc. They were doing all of this for their ancestors, it was explained to me. They laid out food and drinks for them. They lit incense and candles for them. They even prayed to and for their ancestors, inviting them in the home to bless it and them, wishing them peace and happiness in the afterlife. All the while, I would grouch around the house, scoffing. I am not proud of this, but it is what happened. One day, as she does, my wife got tired of my crap. She asked me a few questions in a calm, schoolteacher-like tone intended to get my attention, make me pause and reflect, and reconsider my position (or else). “Your grandparents, your dad’s parents, are gone, right? You loved them, didn’t you?” she asked. “You know they are and, yes I loved them very much,” I replied. “If there is, yes I do,” I said. Since then, I have tried my best to embrace and find value and meaning in my wife’s cultural traditions. I have tried to look for the positive in them and to see them as an additive, not subtractive value in my life. I look for the good, for the lessons on how to be a better person. How could being more grateful, more family focused, and more gracious possibly make my life worse? The answer: It hasn’t. Happy Chinese New Year and thank you to all who have come before us, making our wonderful, bountiful life possible! Fabulous, positive article you created here brimming with reasons how we are all connected on the planet. I shared your wonderful story on TotallyInspiredMind.com. I am following your fantastic blog too.